For a vibrant weekend of music and film, friends of film, music & South African Culture can converge Downtown. 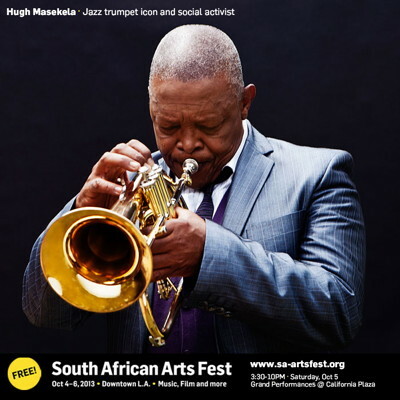 This inaugural event of the South African Arts Festival 2013 (SAAF) will showcase some of the country’s beloved musical icons and introduces Angelenos to powerful emerging voices. The Republic of South Africa’s Department of Arts and Culture will bring its South African Arts Festival 2013 (SAAF), a weekend of South African film and music, to Downtown Los Angeles for the first time, with events on Fri. 10/4, Sat. 10/5 and Sun. 10/6. 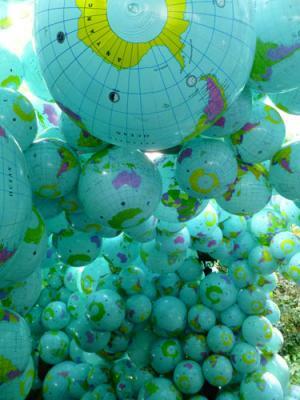 The inaugural SAAF 2013 will showcase seven South African films and seven musical artists representing the diversity of the South African experience at FREE public events over the weekend. Highlights include Saturday’s outdoor South African Music Day at Grand Performances and a day of South African films screening on Sunday at Regal Cinemas L.A. LIVE Stadium 14 and Grand Performances. South African food by Graham Perkett, of Deli-SA, will be available for purchase. A hosted bike valet will be available beginning at 3pm. On Sat. 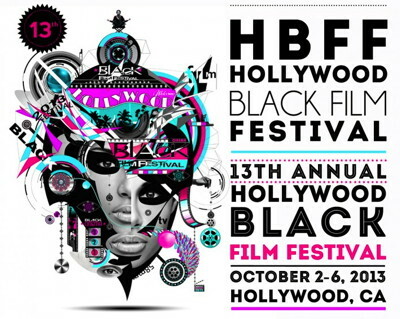 October 5, 2013, the festival will conduct FREE film panel discussions for industry professionals at the Omni Hotel in Downtown Los Angeles from 10am to 5pm. The conversation points will cover everything from co-production treaties to US filmmakers’ South African experiences and international film incentive comparisons. This discussion will provide solid information on an industry where global production schedules and distribution are the norm more often than the exception. Presenters include Tom Rooney (Sony Digital Audio Disc Corporation), Tony Lynn (Agile Enterprises), Jon Kuyper (Lionsgate), William Stuart (Aurora Productions), Matt Bierman (Warner Premiere), Greg Holstein (Capital Arts Entertainment – Otelo Burning), Aifheli Makhwanya (NFVF), Sara Blecher (CINGA Productions), Akin Omotoso (SABC), Stuart Forrest (Khumba – pictured above), Lance Samuels (NAM Films), and others. Interested parties should email for additional information. On Sun. October 6, 2013, the festival will conduct FREE music panel discussions for industry professionals at the Omni Hotel from 10am to 4pm. The competitive musical marketplace will be examined from myriad angles including: licensing and royalties, online media players, live music venues, nuts and bolts information for international artists touring the US. For the most updated artist listing, full presentation schedule, etc., please visit their official site.